The test prep process has the power to change students’ lives – the colleges they are admitted to, the scholarships they win, and their perceptions of what they can achieve in the future. Take the next step by scheduling a free SAT/ACT exam and a free consultation. For four years running, we have helped the The Webb Schools rank as one of the top 10 boarding schools in the country for highest SAT scores. We work with students of all levels and consider any starting score on the SAT, ACT, or ISEE simply as a jumping-off point. If you have a goal, we will help you create a plan to reach it, and our entire team will be dedicated to helping you make it a reality. 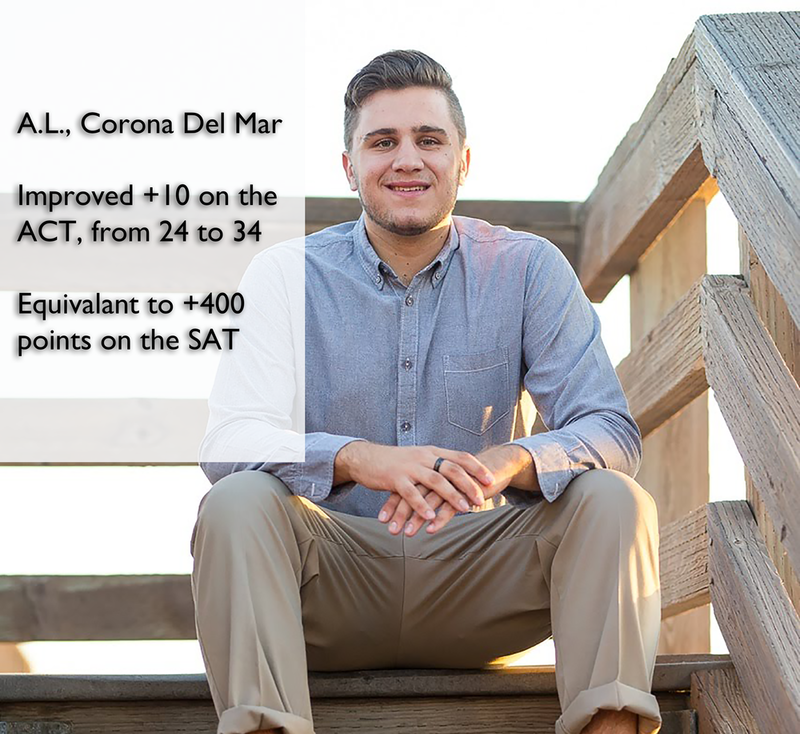 Our students consistently earn scores that help them achieve admission to the country's top colleges and universities, including Stanford, Yale, Harvard, Princeton, Brown, Dartmouth, MIT, Cornell, NYU, Columbia, Wesleyan, Johns Hopkins, Rice, University of Chicago, the Claremont Colleges, Swarthmore, UC Berkeley, UCLA, and USC. However, we firmly believe that choosing the right college isn't just about rankings, it’s about finding the right fit. Our team will work directly with your school or private college counselor to ensure that your test prep plan is tailored to your unique goals for college. Take the next step to realizing your son or daughter's aspirations with a free mock SAT/ACT and consultation. Thank you. You've taken the first step to helping your son or daughter reach their goals for the future! Stay up to date with cutting-edge information on the SAT, ACT, college admissions, and more.